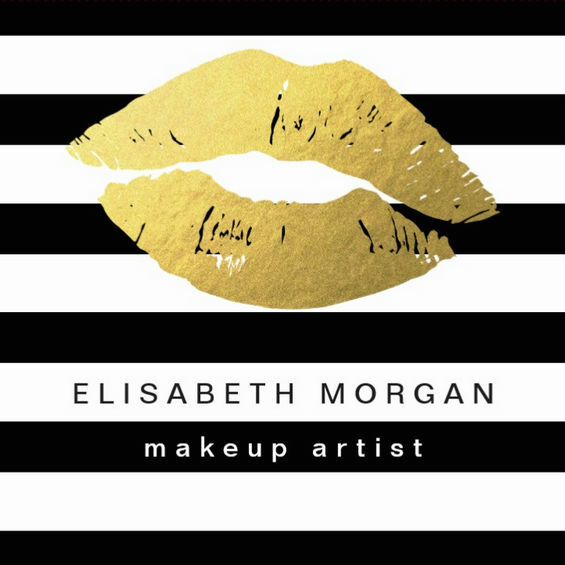 A modern black and white stripes makeup artist salon starter set embellished with a gold lipstick print. 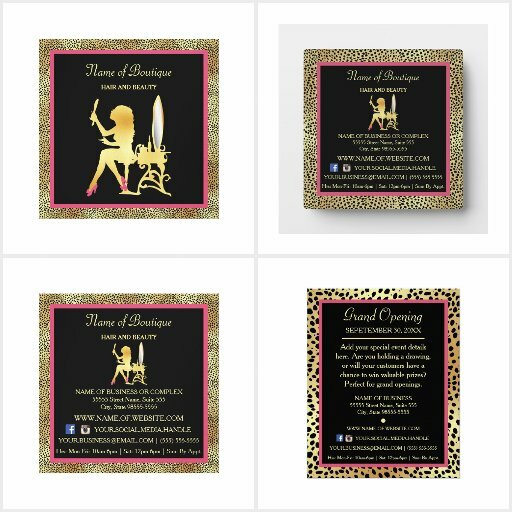 This 8 piece set ﻿includes business cards, flyers, postcards, address labels etc. Designed by Card Hunter. 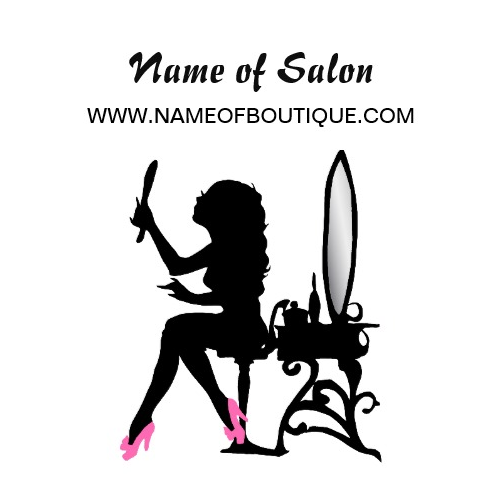 Set up your boutique with this girly pink and black hair and beauty salon starter set with a silhouette of a woman hairstylist wearing cute pink shoes and a bow in her hair sitting on a vintage stool with her mirror at her makeup artist vanity. Offer your services as a professional makeup artist with this trendy black and white wide horizontal stripes cosmetology boutique starter set. 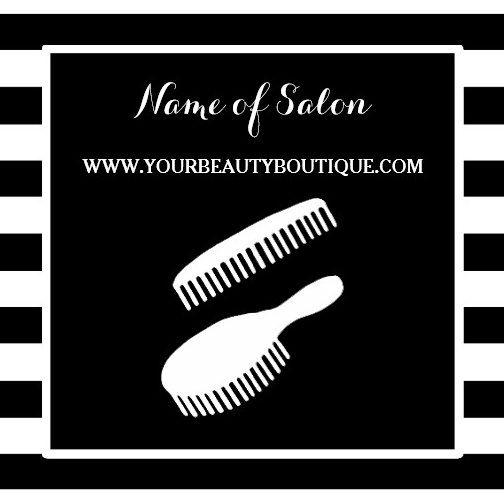 Personalize by adding the name of the beautician and contact information to this contemporary black and white striped pattern. Attract potential clients to your hair and beauty salon with this modern girly light purple and white floral hair and beauty boutique starter set. Pick and choose from items available from business cards, appointment reminders, order forms, and price lists, to office supplies and attire. A chic animal print boutique starter set with a trendy black and white zebra print and girly soft pink ribbon tied into a cute feminine bow. 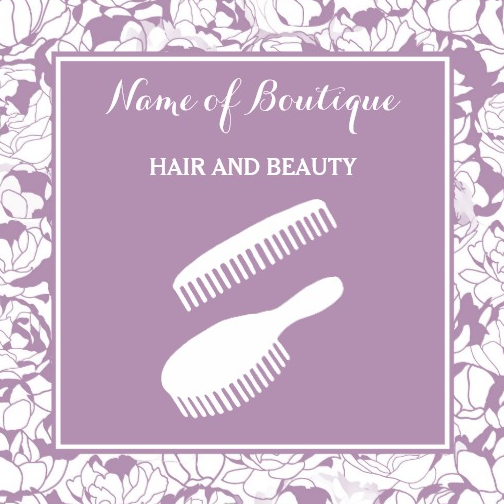 Mix and match the items you need to start your boutique or salon business. Items available: business cards, card holder, diy hang tags, price tag stickers, letterhead stationary and loyalty thank you postcards, boutique company uniforms and matching accessories etc. Create a touch of glamor with this elegant black and gold cheetah print hair and beauty boutique starter set with a gold silhouette of a woman with long wavy hair. Who can resist a pair of trendy hot pink shoes with bows? She is admiring her reflection in a vanity mirror. Pieces sold separately. Flat printed image, NOT reflective metallic.